Bill believes that his work in the financial industry is a personal ministry. Rather than a job he has to maintain, it is a second career he pursues to give back and to help others improve their financial lives. Bill specializes in helping business owners, corporate executives, professionals, families and individual investors work toward their financial goals through comprehensive financial services. Helping his clients maintain and improve their standard of living, maximize wealth, helping prepare for monetary independence in retirement, and making sure that client loved ones are always taken care of are among his primary goals. Bill has spent more than thirty-five years in business and financial consulting with clients and derives great pride and satisfaction in providing financial service strategies and solutions to their unique business and personal needs. He has attained numerous professional awards and honors. Bill holds his registrations with LPL Financial as a Registered Representative and as an Investment Advisor Representative. He also is a licensed life, annuities and health insurance representative. He graduated from Virginia Commonwealth University with a Bachelor of Science degree and continued his education with postgraduate workshops and certifications, including completion of the AAMS (Accredited Asset Management Specialist) designation from the College for Financial Planning. 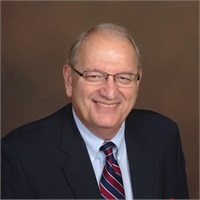 Bill has been involved with many organizations, including the Kiwanis Club, Church Youth Ministries, Youth Sunday School, Deacon Ministries, Transportation Ministries, Serve like Christ Ministries and the James River High School Band Boosters. He is also a member of the Virginia Museum of Fine Arts (VMFA). In his spare time, he enjoys spending time with his family at their lake home in North Carolina. Bill resides in Chesterfield County, Virginia with his wife Kay. Bill and Kay are very proud of their adult children, Mason and Kathryn, both of whom have attained Masters Degrees.